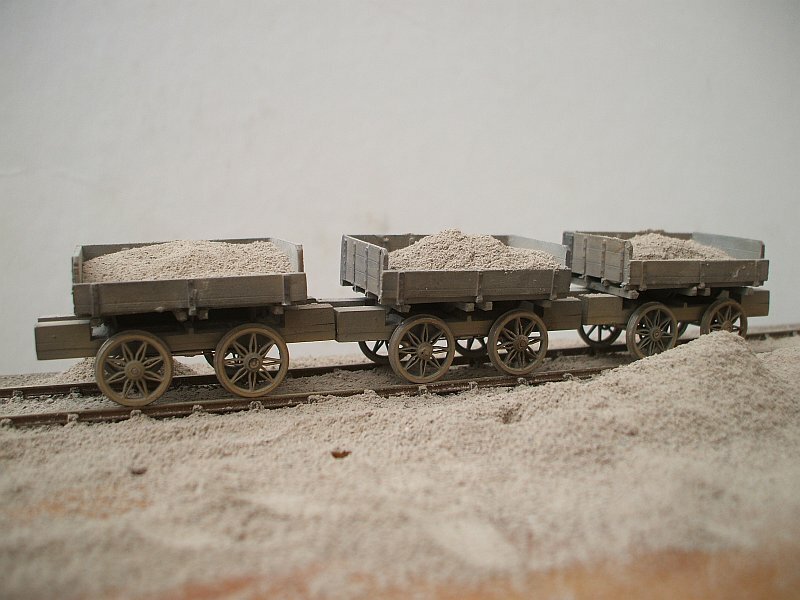 A brace of Stanton Steelworks Slag Ladle wagons. 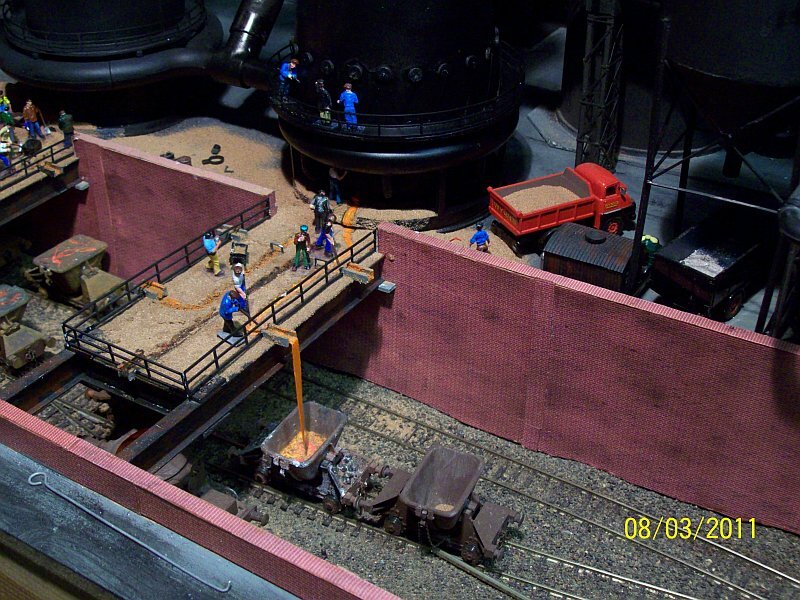 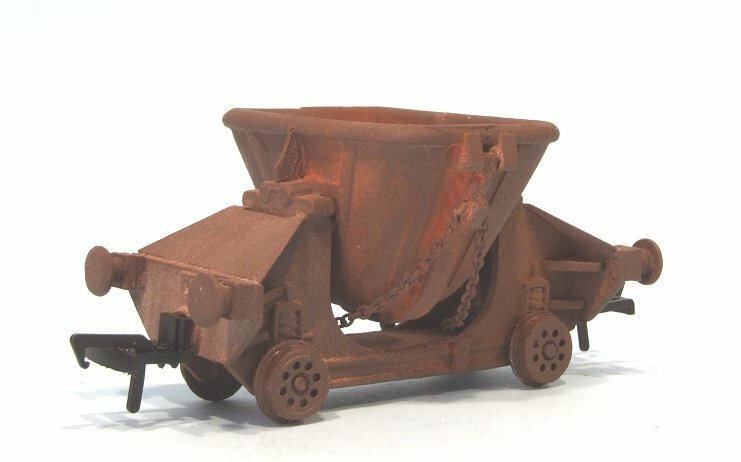 Stanton Steelworks Slag Ladle wagon. 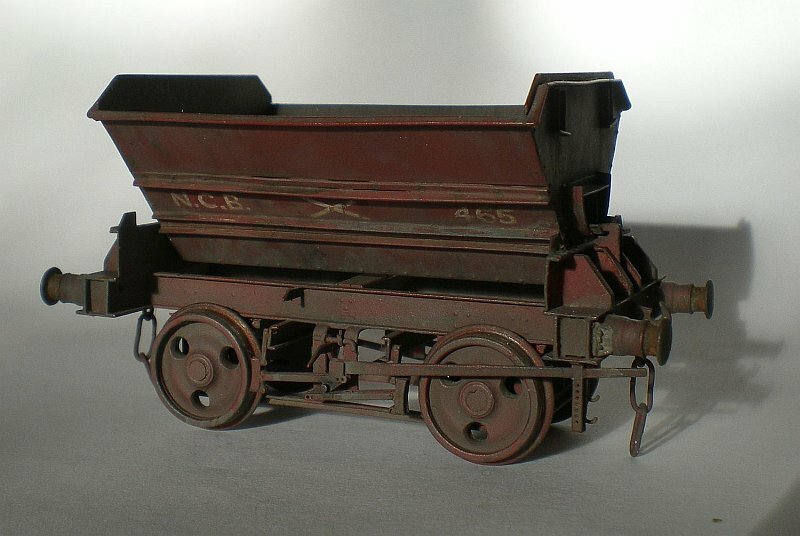 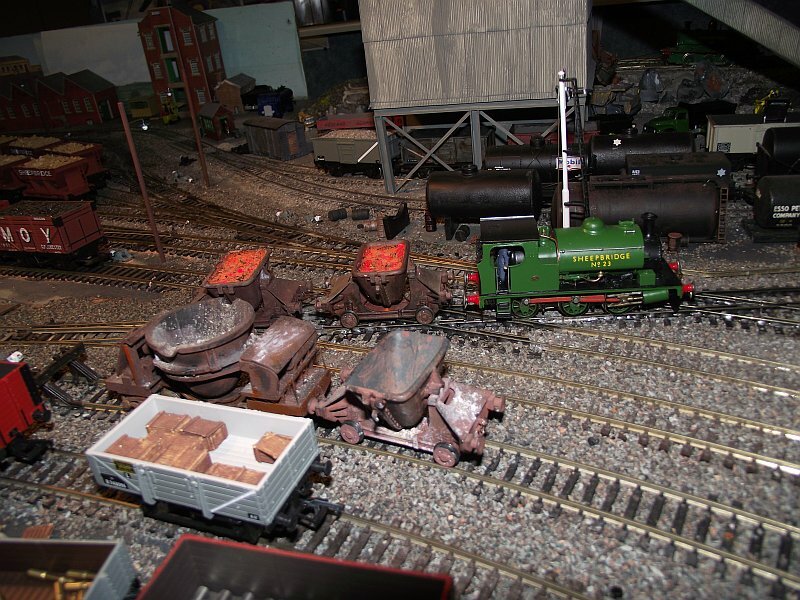 A Skinningrove steelworks wagon with open hearth scrap boxes. 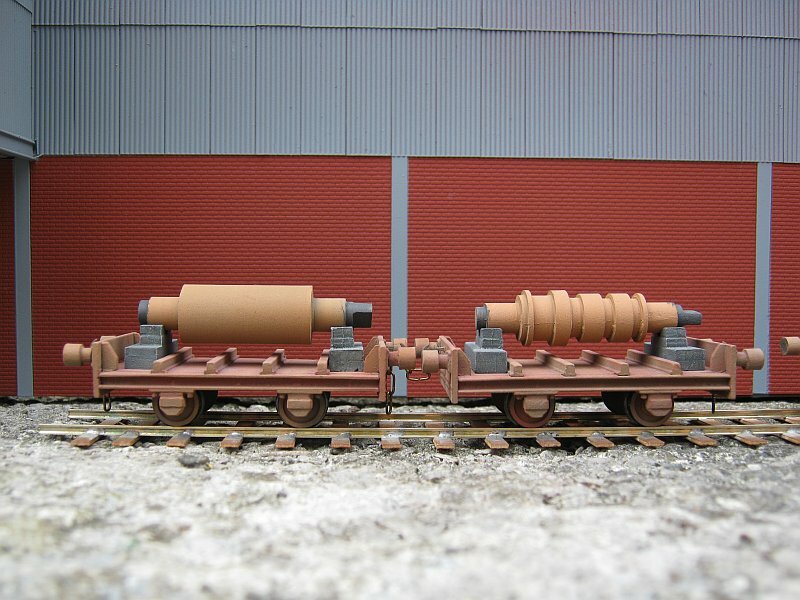 A pair of Skinningrove steel works wagons with different millrolls. 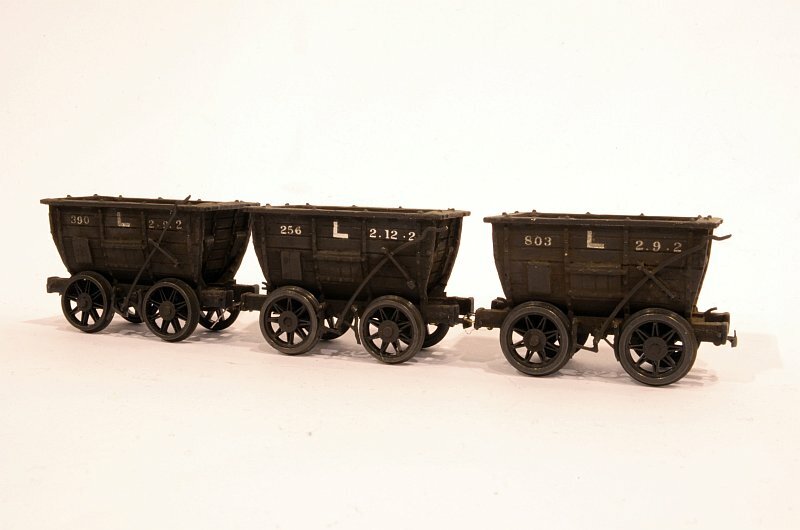 A rake of Seaham Harbour/Londonderry Chaldron wagons. 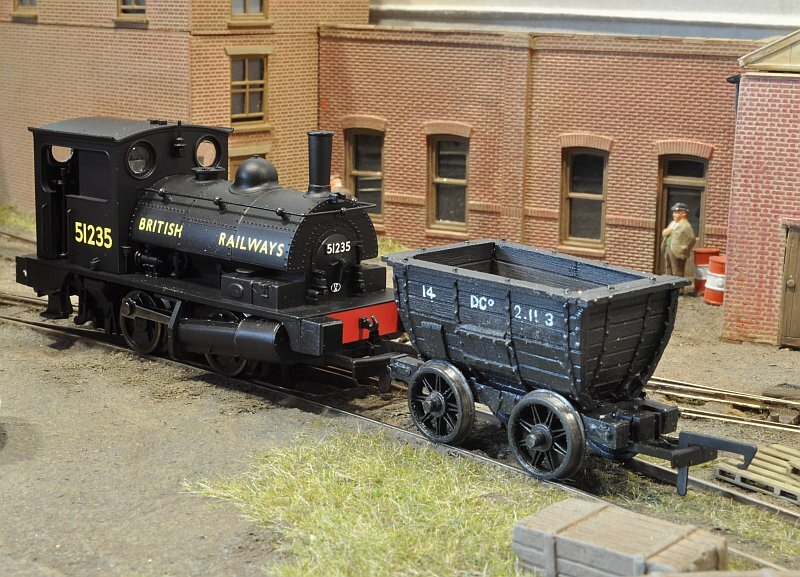 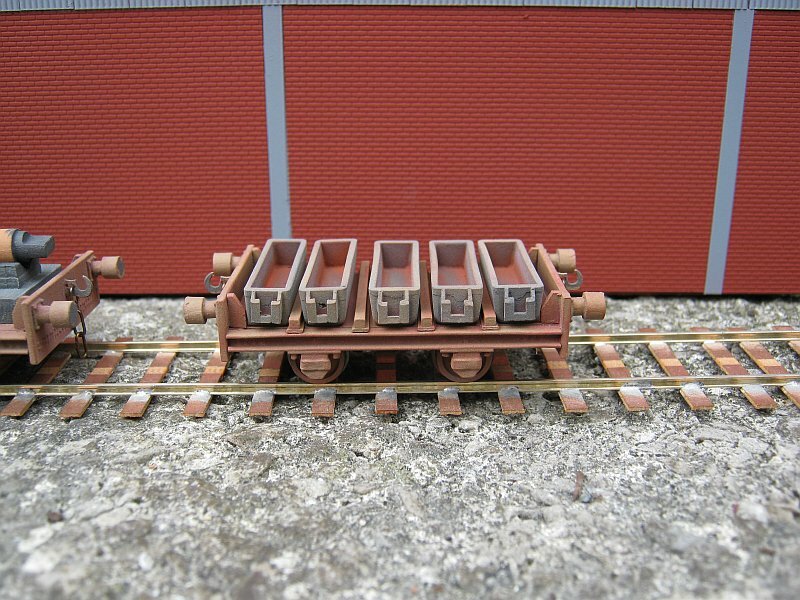 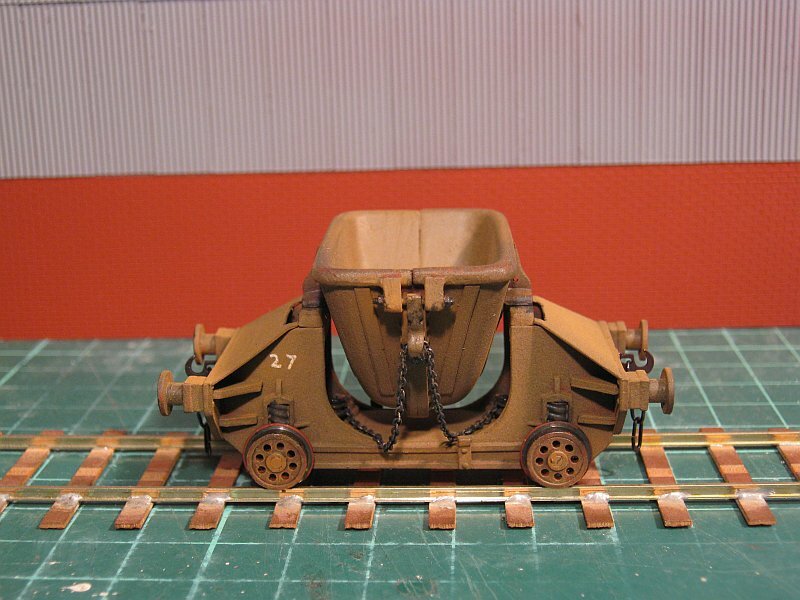 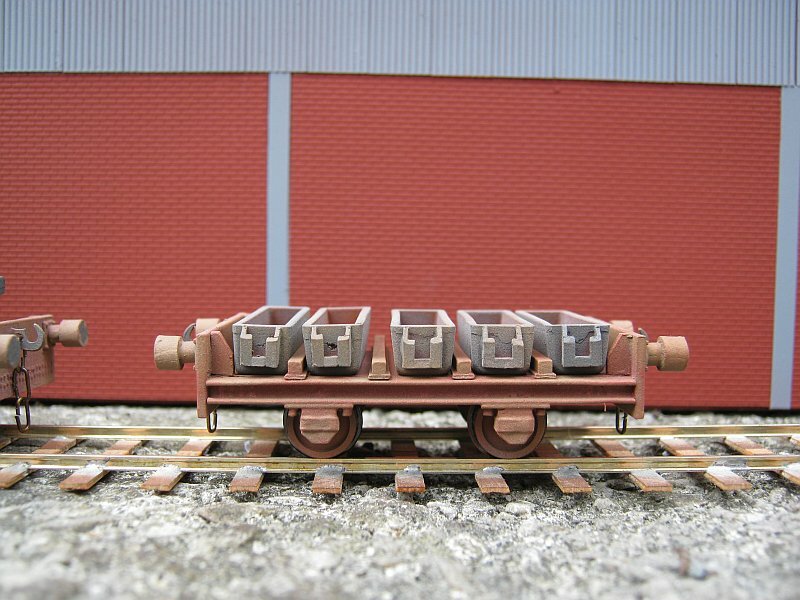 A Seaham Harbour/Londonderry Chaldron wagon to 00 gauge.